in truth, you could sew these arms on any old way, they'll be hidden under the body casing. the main thing is flexibility, and the way they hang. 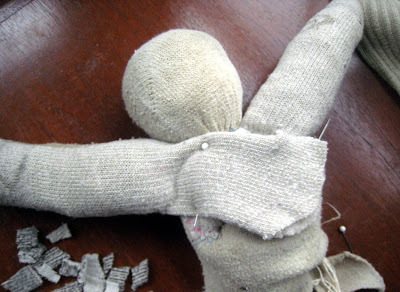 when you pin them on, test out their range of motion and hold up your doll to see how the arms will lie. 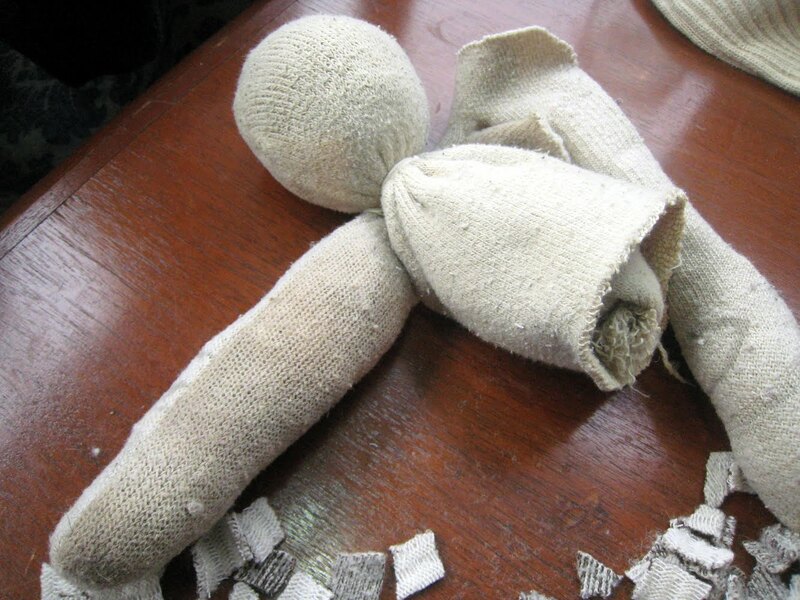 1. stuff the arm with sock bits. 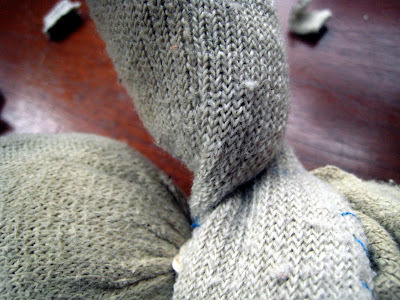 you can squeeze and shape the arm as you go to get the right density and form. use a pen or other tool to help. 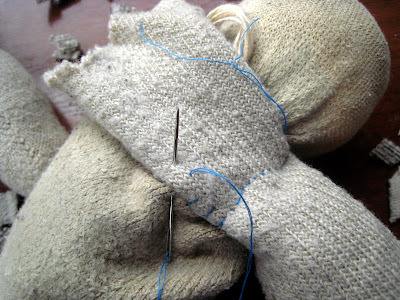 2. pin the arm to the back shoulder area of your doll for sewing. 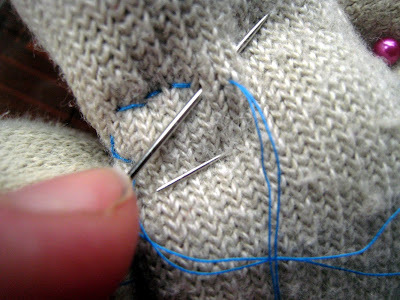 3. back stitch along the back; right where the arm is meeting the body. 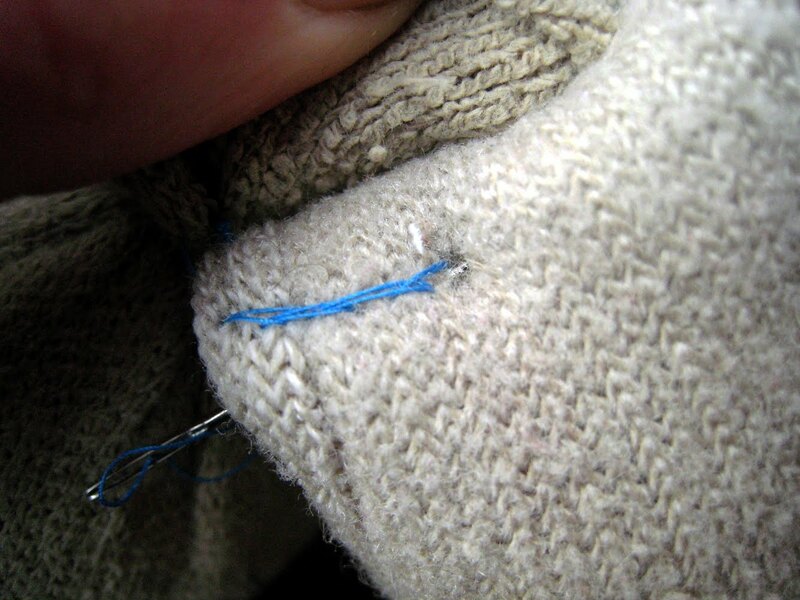 i used this stitch because it is very secure, and gives extra strength to the join. 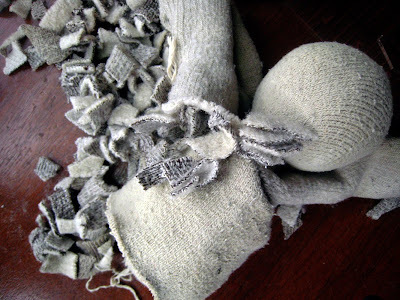 (i also used a doubled thread throughout for the same purpose). 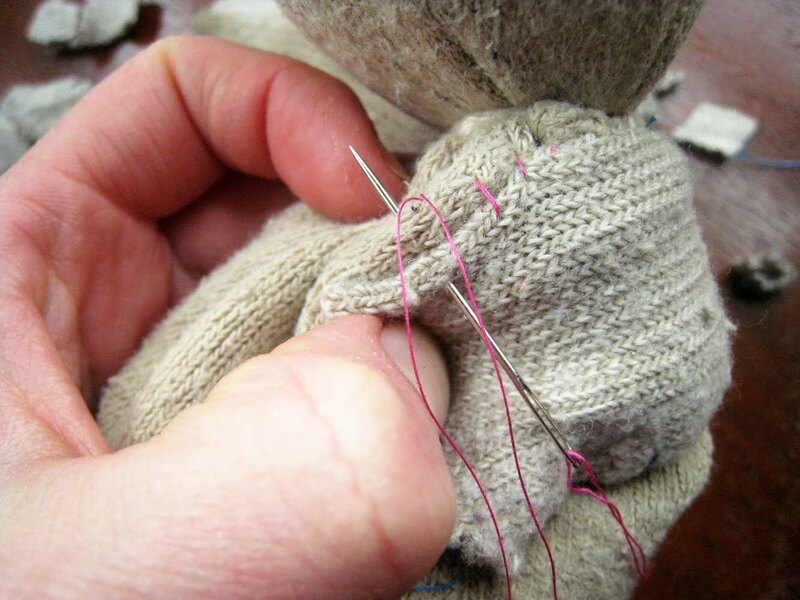 be sure to secure your end - simply done by knotting the end of your thread and pulling your needle back through the doubled thread. here is the back side of my back stitch. 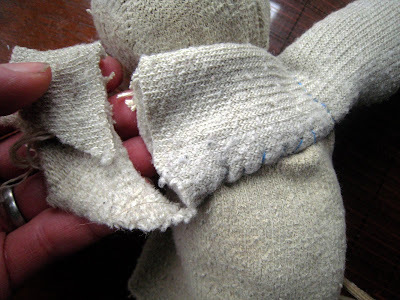 4. whip stitch along the bottom, smoothing the material flat against the back as you go. 6. whip stitch top as well. i did the top before the open edge to make sure i was smoothing out the arm material on the back evenly. though these will be encased in the body material, you'll want to keep it smooth and un-bumpy! 7. whip stitch the open end, tie off, knot, and pull through the body and arm material. then snip your thread. 8. do the other arm right on top of the last! 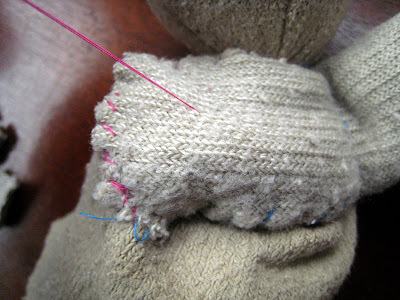 i found lots of instructions on these stitches via google, but i'm planning on making a video for one upcoming. i'd be happy to do videos of back stitch and whip stitch too. if anyone is interested, say the word!